With endless options for a romantic outing, an evening spent in Downtown Norcross promises to be a Night to Remember! 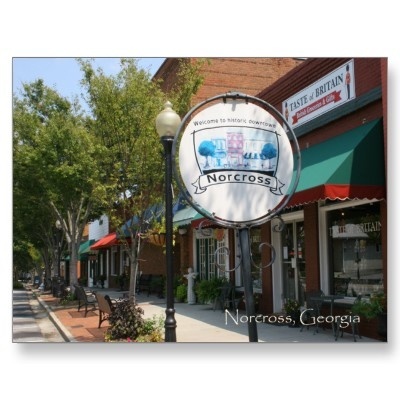 The streets of historic Norcross provide the perfect romantic backdrop for a Valentine’s celebration with its charm and bistro-lined streets. On February 14th from 5-9 p.m., the city is pulling out all the stops for those with love in their eyes. Cozy up in free a carriage as you ride through the quaint streets, enjoy being serenaded by a traveling barber shop quartet and take an opportunity to look in your significant others eyes to renew the vows you exchanged on your wedding day. You can also take a romantic photo, all at no charge. And if that doesn't meet your idea of a night out with your sweetie, Downtown Norcross restaurants will be offering romance specials for those who would like to wine and dine their significant other. Let the City of Norcross and its downtown merchants cast a romantic spell over you and enjoy all that our captivating city has to offer. We look forward to seeing you on South Peachtree Street and hope you fall more in love with your sweetheart (and the city’s downtown merchants)! Please note that the carriage ride pick-up location will be at Taste of Britain, 73 S Peachtree Street and the photo booth will be stationed on South Peachtree near 45 South Peachtree Street.